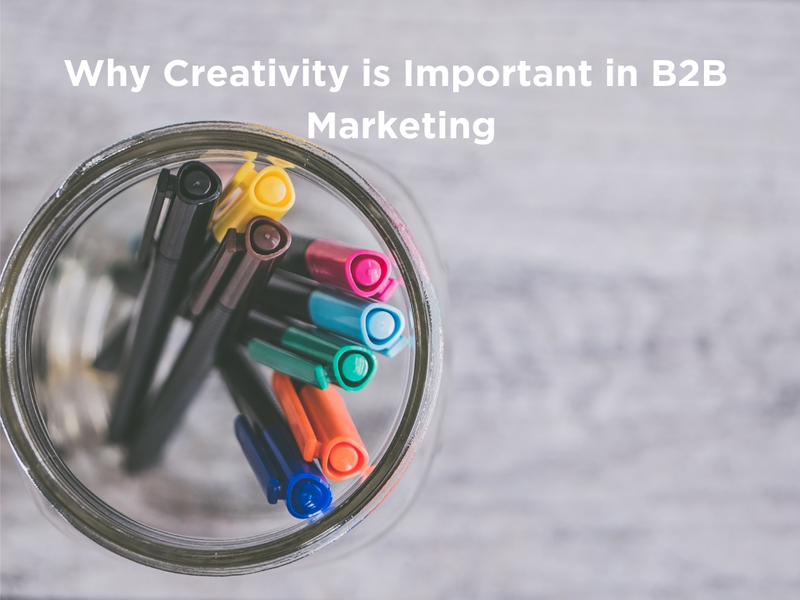 In June 2015, I attended the B2B Marketing Summit where Annabel Rake, CMO of Deloitte UK, gave the keynote address. The central message of her speech was that business-to-business marketing was becoming increasingly more person-to-person. It seems that as we become ever more reliant on technology, there is also a clear and equal need to become more human in a simple, back-to-basics way. 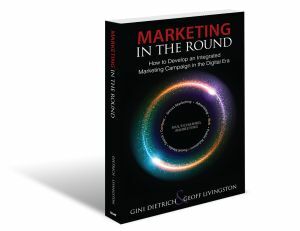 We should not become lost in marketing technology because of a strong emotional angle to the communications process. Besides, machines aren’t capable of dealing with emotion (yet). With the benefit of hindsight, I think few would disagree. After all, it is an over-used truism in sales that people buy from people. So here is the conundrum: how can we leverage technology and become more efficient without losing the human touch? Back in 1998, I coded for a news site in the streaming video industry. It was the best, and only, source of information about the industry at the time. And the site quickly became the “go-to” destination for the sale of conference tickets and expo stands. 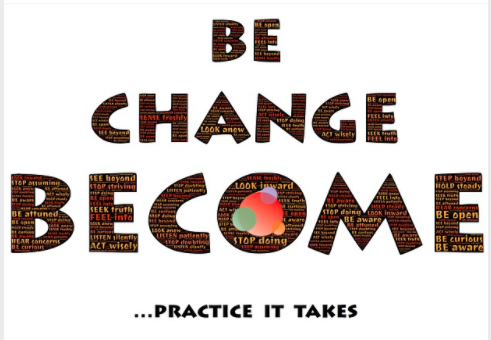 The “trick” was creating desirable content and turning prospects from strangers into customers. This became known as content marketing. Now, with traffic hitting their websites, brands realized that different groups had different reasons to be there–and should see different content. To achieve this, groups received “personas,” and we deployed user tracking, A/B testing, scoring of leads, and other methods. Various versions of the “sales funnel” have been used to demonstrate this process, resulting in a helpful way of characterizing a buyer’s journey, particularly at scale. When you use content to generate interest in your product, it pushes the buyer through the “funnel,” and you end up with a percentage of customers at the end (typically less than one percent). 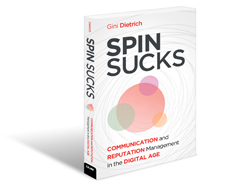 But if you look at more complex sales–such as those which Deloitte or enterprise software houses engage in–the funnel metaphor is less helpful. For one thing, the number of possible buyers of a service at significant scale in this type of industry is often relatively small. Treating them as “personas,” not as people, would be foolhardy at best. Before a complex, consultative sale, you must build a relationship to secure a level of trust and understanding needed to engage a service. It then becomes an endless process of re-engagement. As the deal progresses, during the consultative sales process there is typically a meeting with the vendor’s subject-matter experts or a member of the senior team and the potential client. The point of this is to allow the expert, and by extension the company, to demonstrate domain knowledge. This step helps ensure the client understands the issues and feels satisfied the vendor can genuinely help with the solution. This is where expert-to-expert conversations take place, and everyone involved in complex B2B sales knows this expert step is the single best way to win business. Because they know this group is very effective in driving business, almost all knowledge-based businesses use breakfast seminars, lunch and learns, or evening networking events to try connecting the subject-matter experts with prospects. This is a tested, tried-and-true approach that works, but not because the format is a good one; it is not. Despite money spent on marketing, logistics, and canapes, it is a matter of chance whether a particular event is successful. But everyone knows when the subject-matter expert and the right prospect make contact, results are often remarkably productive. So, how can we involve experts in the business development function earlier, and in a more focused way? Expert-to-expert marketing aims to use technology to employ expert knowledge earlier in the process and with greater precision. And, most importantly, doing so in an authentic people-first way. The expert-to-expert products and techniques, from mid-form blogging, podcasts and videos, to webinars and social media, have a design which makes it plausible for experts to demonstrate their knowledge. The products aim to minimize the workload for the experts and maximize the effectiveness of their contribution. The outcome is that sales, subject-matter experts, and marketing work together all through the process, from discovery to client success. This is in stark contrast to the standard process, where marketing operates separately handing leads over to sales. Not only are you deploying your best asset more efficiently but you ensure your team is positioned as the expert in the field. 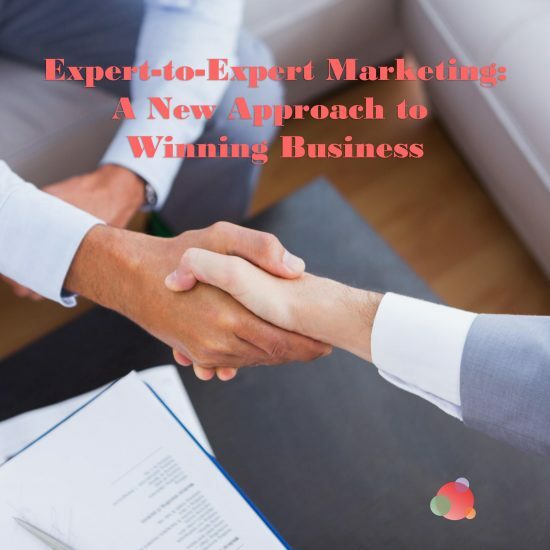 How might expert-to-expert marketing services help your business? Please share in the comments below.